We've had a lot of inquiries on the MQR-5504 power transformer which was used in the Baby O and Bugle circuits designed by Gordon Rankin of Wavelength Audio fame. Since we are a really small (nano sized :=) winding house and are frequently booked pretty solid--- we aren't able to accomadate building this power transformer in-house any longer. It's just not efficient for us to produce these. Enter Heyboer transformers. I contacted them and asked if they would have an interest in building these for our customers. 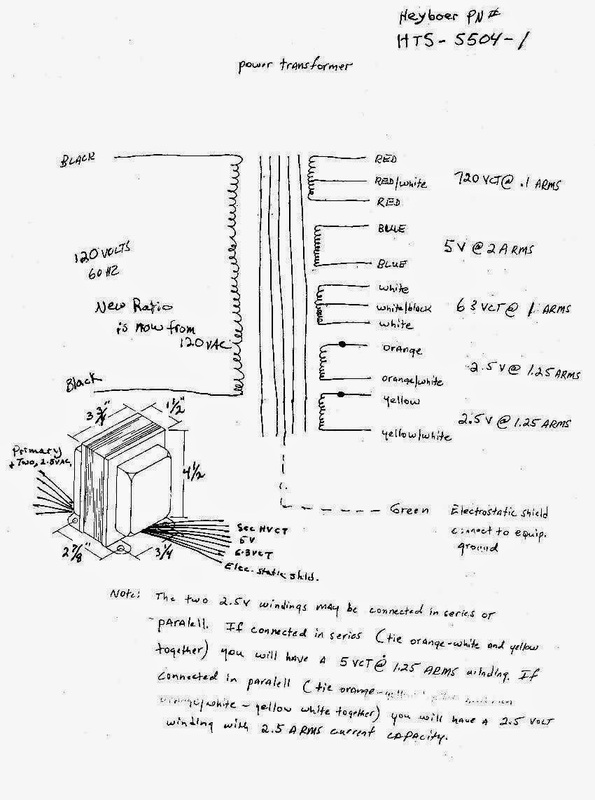 I've supplied them with the original blueprints so that they could make an electrical equivalent. The new part # for units sourced through Heyboer is HTS-5504-1. You can and must order direct from Heyboer. Units produced by Heyboer will be covered by their warranty if any. They will have a spec sheet available for this part number. Pricing as relayed to me will be $130 for singles and $110 each if ordered in pairs. ALL questions and queries should be directed to Heyboer.